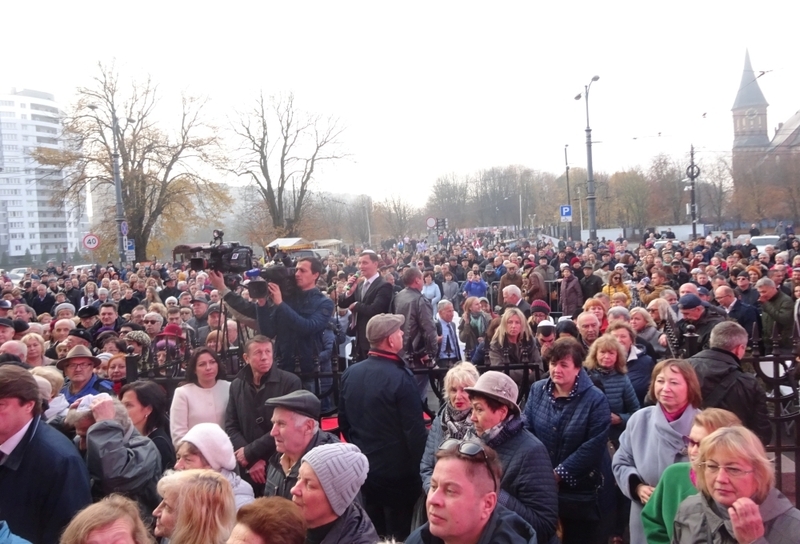 More than two thousand people gathered expectantly on 8 November 2018 at the Honey Bridge opposite the Cathedral Island in Kaliningrad. 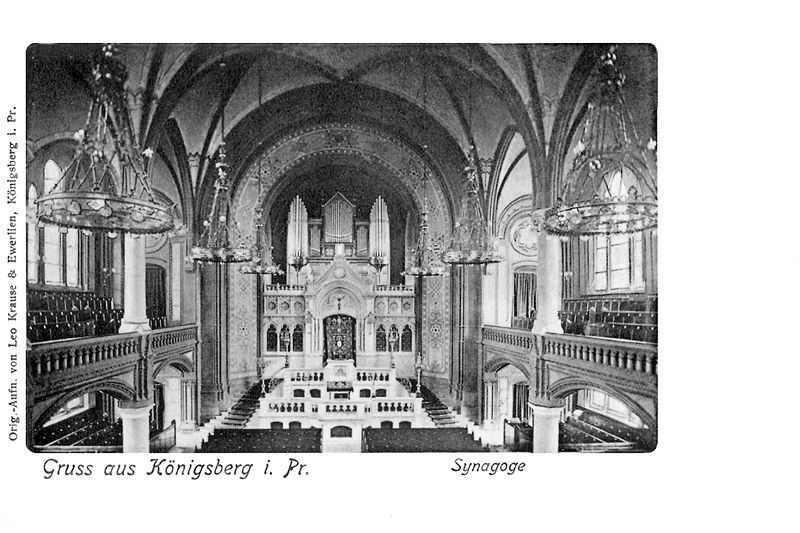 Eighty years after the destruction of the Lindenstrasse synagogue in Königsberg during the Reichspogromnacht, the rebuilt synagogue was inaugurated. 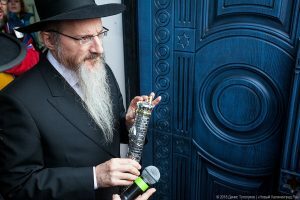 Chief Rabbi Lazar was applauded for attaching the Mesusa to the right door frame. Then the guests streamed into the large hall on the second floor for the official opening ceremony. 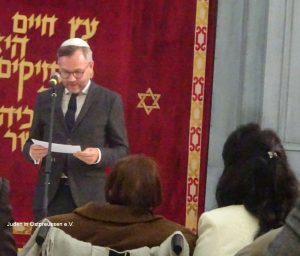 The ceremony was attended by many representatives of the Moscow rabbinate, diplomats from Israel, Poland, Germany and Lithuania, high dignitaries of other Kaliningrad-based religious communities, numerous Jews from the city and the region, and descendants of Jewish families from Königsberg who had travelled from Israel. 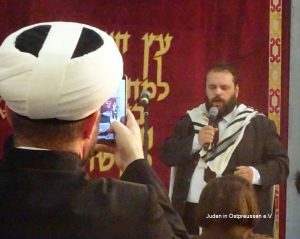 Framed by the vocal power of the cantor Uriel Granat from Voronesh …. 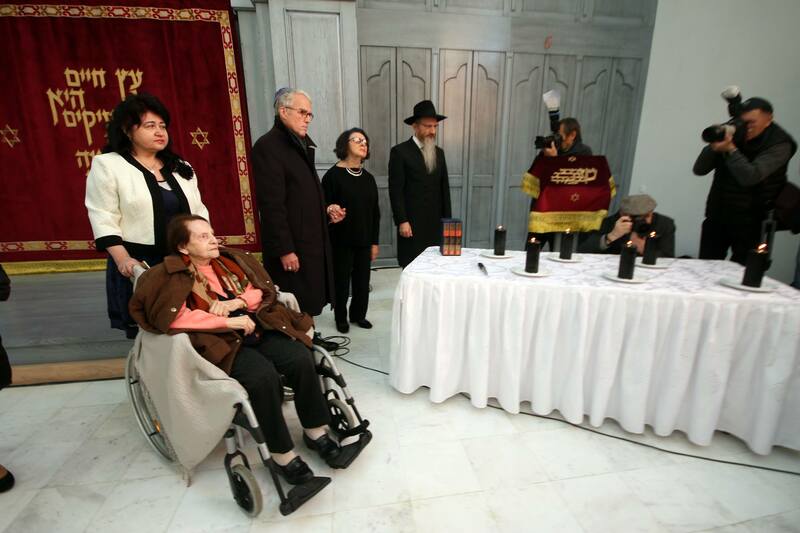 … candles were lit by selected representatives to commemorate the pogroms and the Shoa. Among them were Nechama Drober, who experienced Kristallnacht as a child in Königsberg, Alla Gerber, the politician and president of the Russian Holocaust Foundation as well as the German ambassador in Moscow, Rüdiger Freiherr von Fritsch and the German consul general in Kaliningrad Dr. Michael Banzhaf. In several of the short speeches, for example by the German Minister of State for Europe, Michael Roth, the pogrom night was urgently quoted from eyewitness reports. 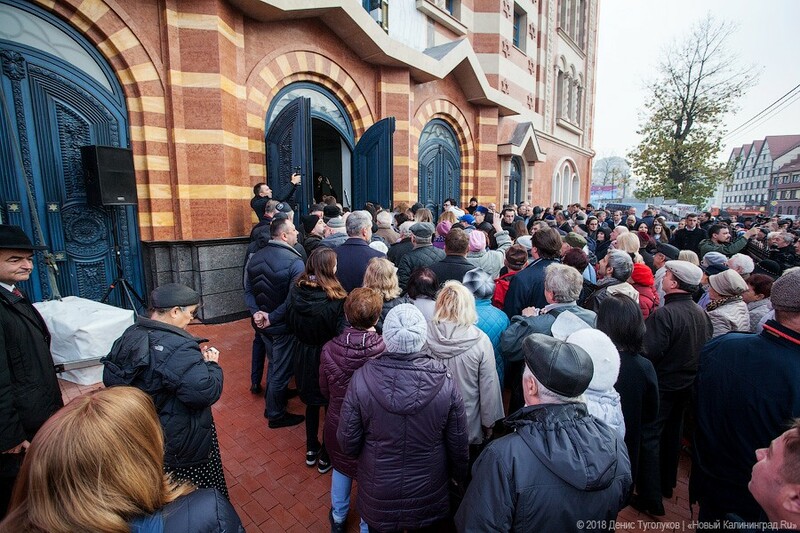 Alexander Boroda, President of the Federation of Jewish Communities of Russia, said among other things: “The synagogue, destroyed 80 years ago, opens its doors again to visitors. 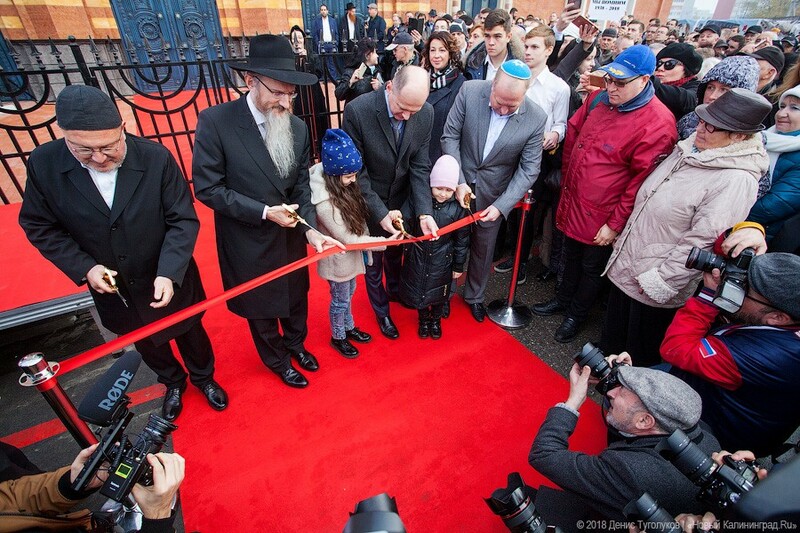 This is a milestone not only for the Jewish community, but for the whole of Russia. 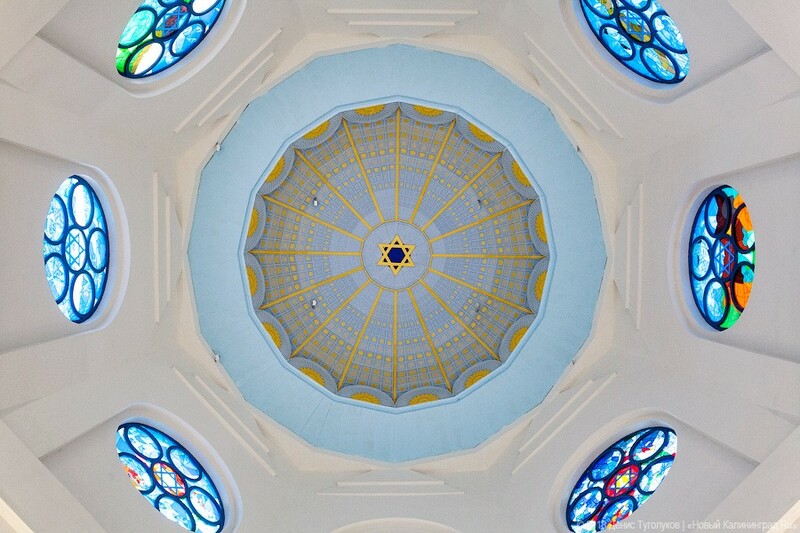 The resumption of the work of the synagogue, a place that preserves the centuries-old traditions of ancestors, a place where people come in search of answers to eternal questions, is a symbol of the spiritual ascent of our entire country, a symbol of the revival of eternal human values”. 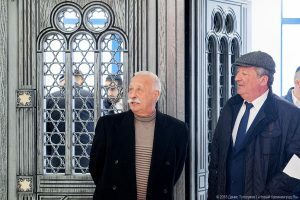 In a short speech, the initiator and main sponsor of the reconstruction, the businessman Vladimir Katsman, looked back on the long and complicated way of the construction process. He underlined the enormous performance of the construction workers in the shortest possible time and their commitment. Serbs, Ukrainians, Poles, Catholics, Orthodox, Muslims from different countries and Jews had worked together here. The architect Natalia Lorents received great applause for her achievement. 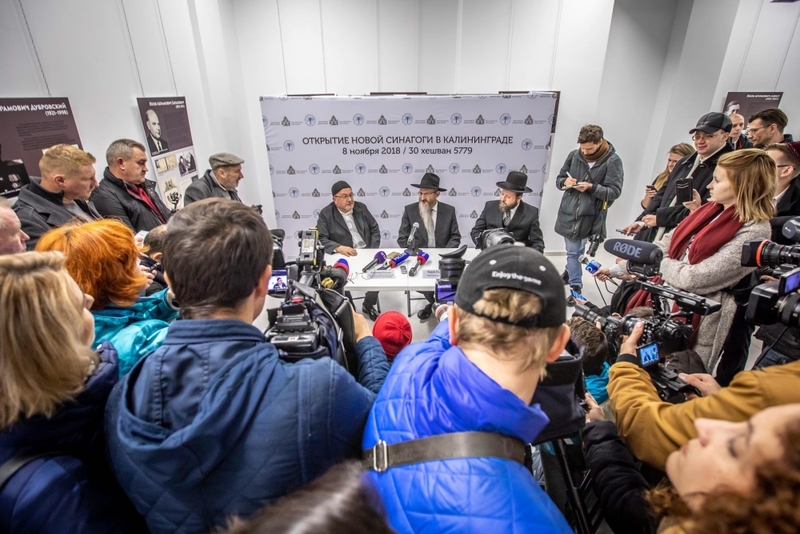 The main sponsors received thanks, including Igor Rabinovich for financing the dome, Boris Pechersky for financing the glass windows and Leonid Plitman for the Torah shrine. 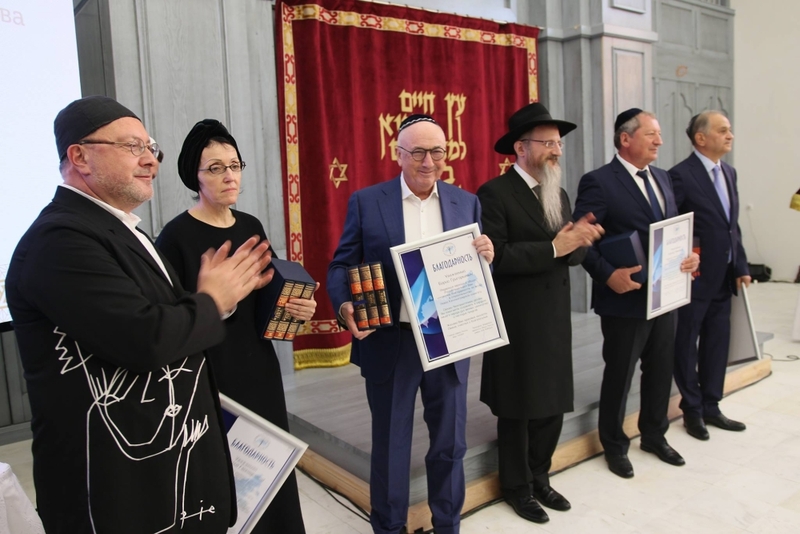 The 92-year-old Holocaust survivor Jacob Sukhovolsky, who donated one million rubles for the beautiful doors of the synagogue, was especially honoured for his commitment. Further greetings followed, among others from the very well-known and popular Moscow TV artist Leonid Jakubovich, who had come from Moscow especially. The dedication ceremony ended with the solemn entry of the Torah, the last letters of which had been written the same day before. After the solemn procession of the scroll, Vladimir Katsman solemnly placed it in the shrine. 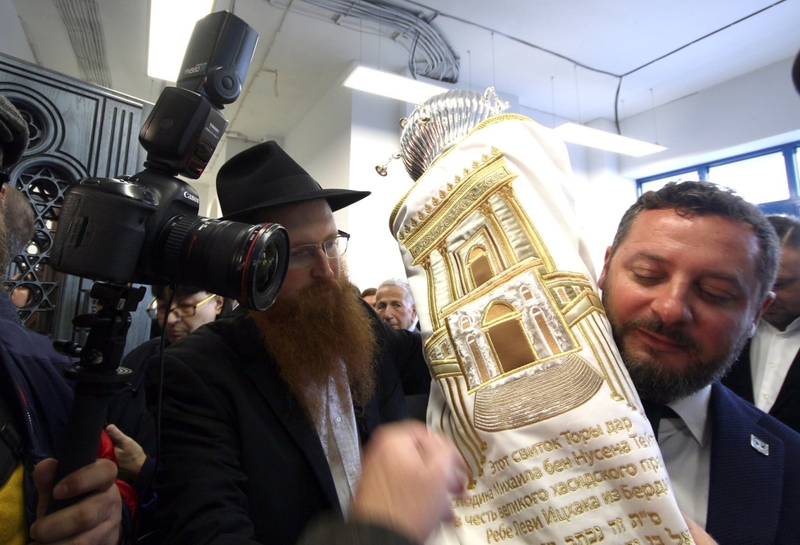 Representatives of the Synagogue Foundation had tried in vain beforehand to get one of the old saved Thora Scrolls from Königsberg back from abroad, so that then a new one was commissioned. Afterwards a prayer took place. 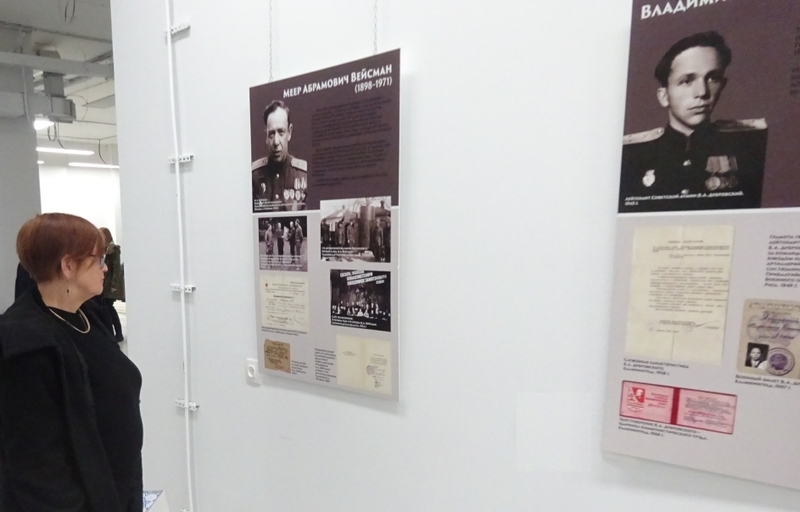 In the foyer of the second floor of the synagogue, guests could view an exhibition designed by Irena Edelman about former Jewish front soldiers and their lives in Kaliningrad. For invited guests there was a reception where numerous presents were handed over and further greetings were formulated. 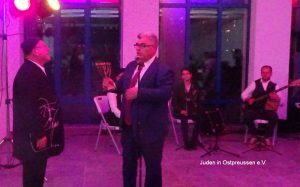 Thus the chairman of the Jewish community Klaipėda, Feliksas Puzemskis, expressed the hope for further good cooperation and referred to the centuries-old close relations between the Jewish communities of both cities. 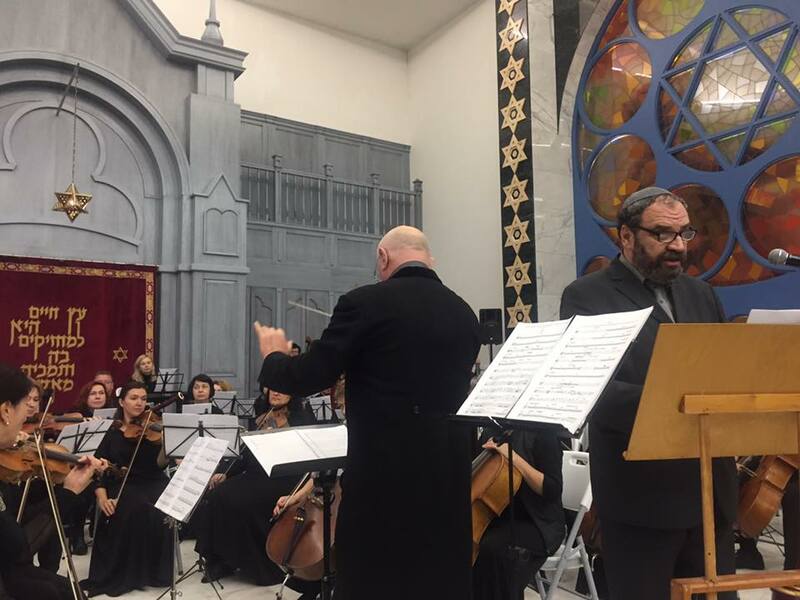 At the end of the opening ceremony, the Kaliningrad Philharmonic Orchestra under its conductor Arkadi Feldman performed a musical creation by the Israeli composer Baruch Berliner under the title “Genesis” in the large prayer hall. The current building is modelled on its predecessor. Since the terrain is now narrower than the original, the building is narrower and lower than the original. The façade design also differs from the original, which was built of red brick and Ludovici bricks. The now dominant limestone strips symbolize the connection to Israel. The construction work is to be completed in about six months. 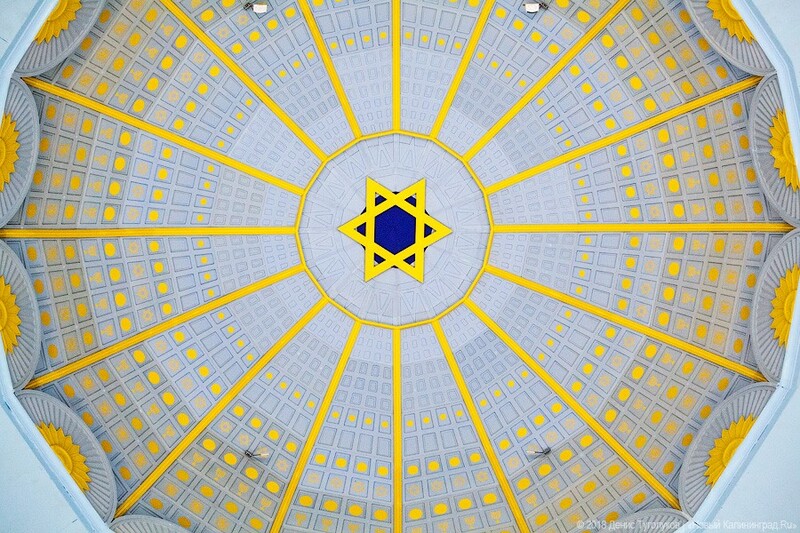 The client is the “Stiftung für den Synagogenbau” (Synagogue Construction Foundation or онд строительства Синагоги в Калининграде”). 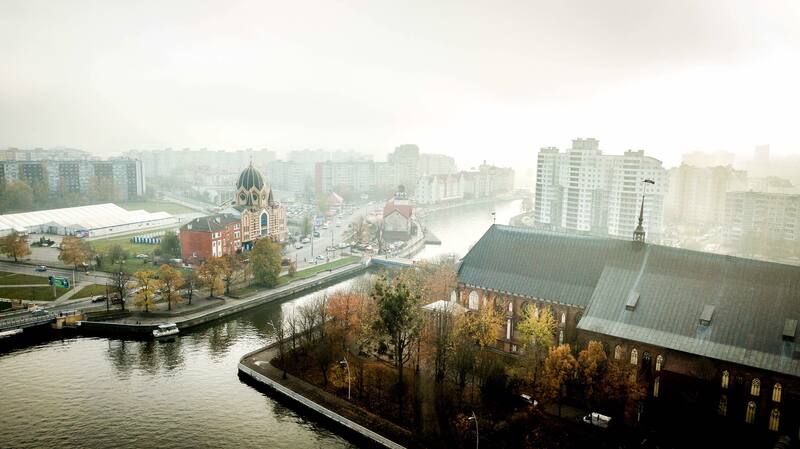 The foundation was founded in 2011 by the Kaliningrad businessman and philanthropist Vladimir Katsman. The general director is the architect Natalia Lorens. The Director of the Foundation is Mark Katsman. 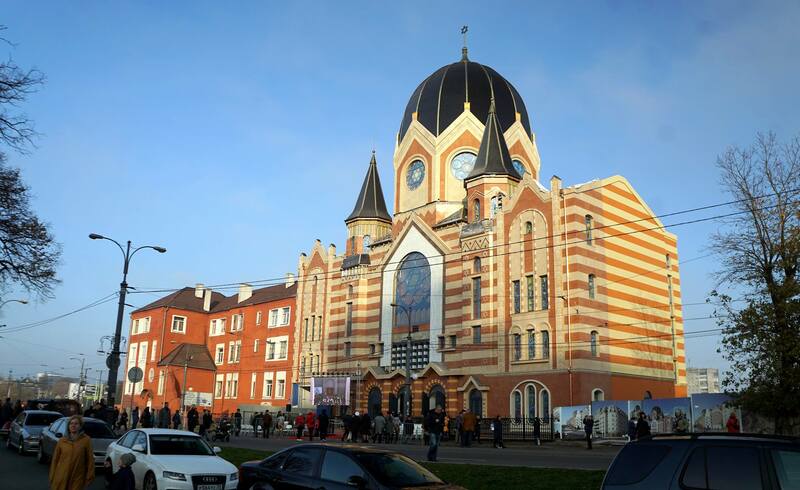 Why do Russian Jews rebuild the synagogue from German times? 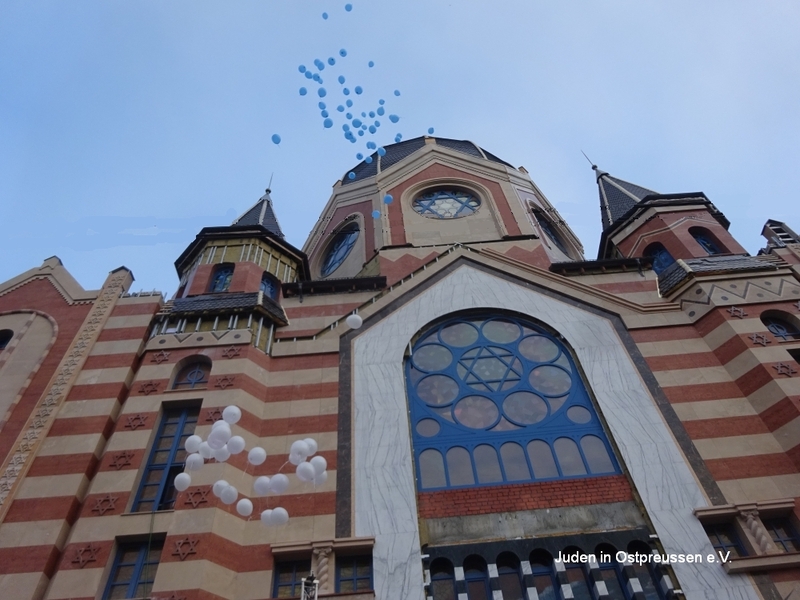 The Jews of the city and the area want to set a sign that Jewish life and traditions are continuing. They want to revive the historic place and fill it with their own activities. Here active handling of appropriation of history combined with civic engagement is proved par excellence. Since when are there Jews in Kaliningrad? The first Jews arrived in the region in the spring of 1945 as soldiers of the Red Army. Numerous Jewish soldiers participated in the storm on Königsberg. Many of them were demobilized here, settled in the city and established local families. Among the actors of the Foundation are also direct descendants of the Jews of 1945. 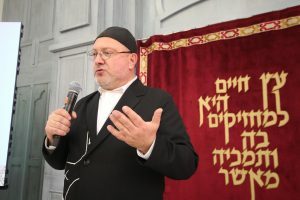 Among the settler transports of the late 1940s and early 1950s, which came from many Soviet regions in the city, were also many Jews, before the “anti-cosmopolitan campaign” in late Stalinism fled to the western periphery of the Soviet empire. 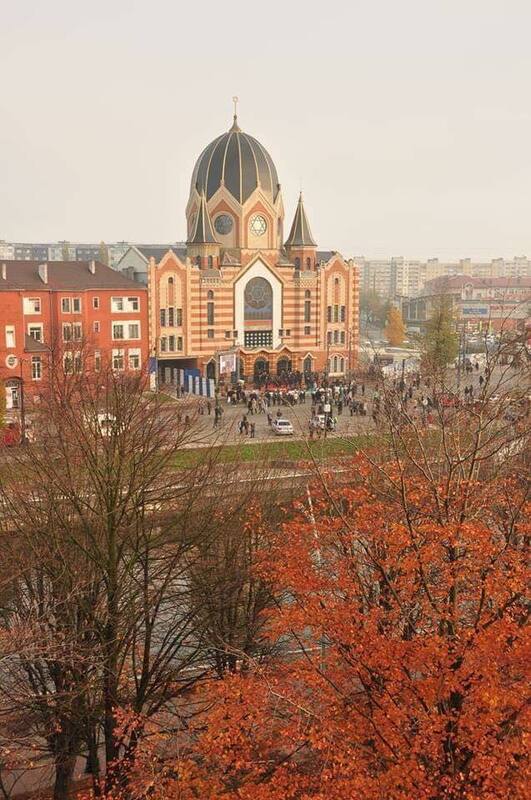 However, synagogues were not allowed in Kaliningrad until 1989, only informal Jewish life was excisting before. 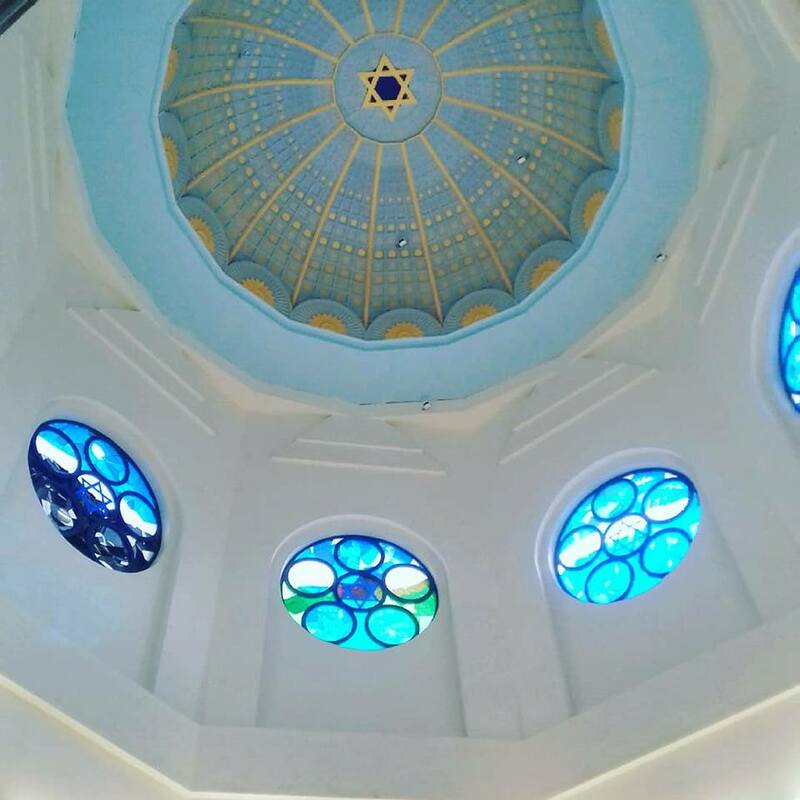 What was the history of the first synagogue in this place? 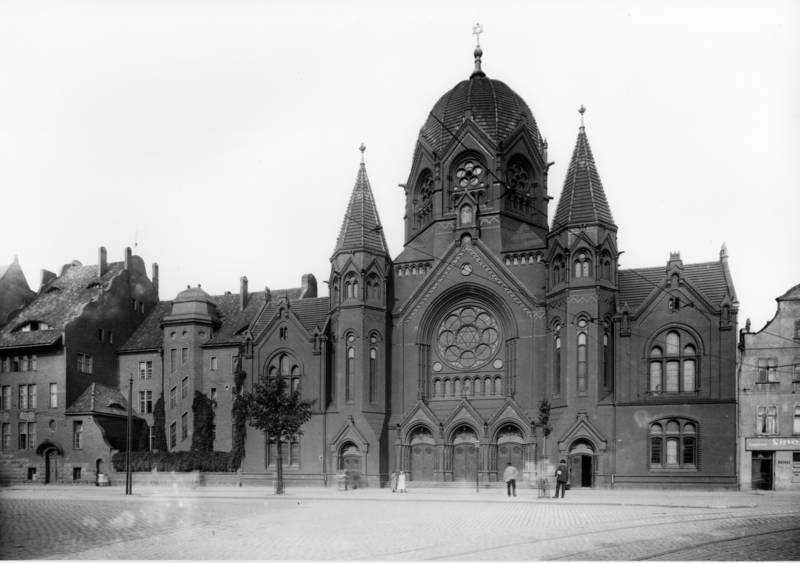 The first synagogue building was completed here in 1896 by the successful Berlin architects Wilhelm Cremer and Richard Wolffenstein. The construction was financed by numerous donations from the parishioners. 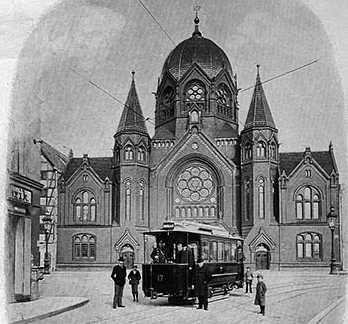 It could be argued that the former synagogue stands on a foundation of amber and tea, because the amber dealer Moritz Becker and numerous dealers of the “Königsberger Thee-Compagnie” had contributed significantly with large donations. There was a lively cultural life around the synagogue, which ia. also housed a library. Stimulating were the musical activities around the famous cantor Eduard Birnbaum, who also influenced the musical life of the city. The synagogue was set on fire in November 1938. Later, the Jewish men of the community had to demolish the ruin. Are there any Königsberg Jews today? In Israel, Australia and Germany still live some eyewitnesses who were either expelled by the Nazis or even experienced the war in Königsberg. There are about 50 interviews with Königsberg Jews in the Spielberg Archive. Some have written their memorial reports. Among the best known works is the book by Michael Wieck “Witness to the fall of Königsberg”. Who finances this important project? 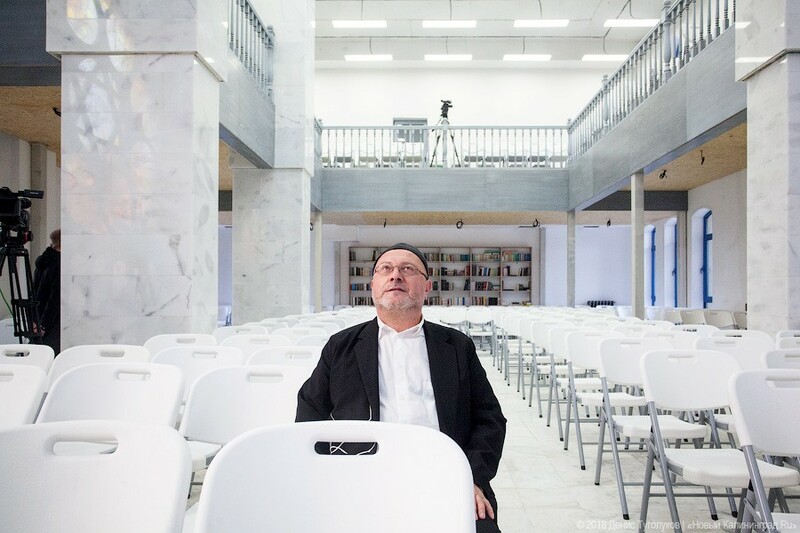 The main sponsors so far are Kaliningrad Jews, especially the philanthropist Vladimir Katsman. He is assisted by many individual donors. 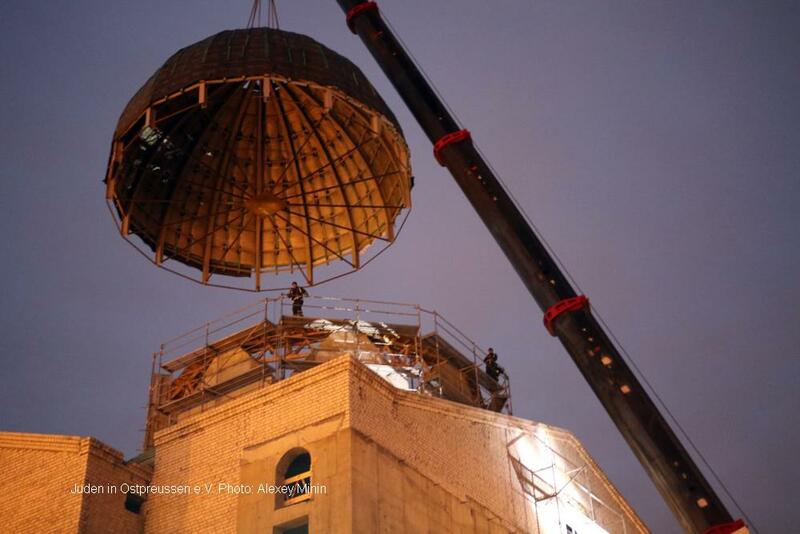 The dome was financed by Igor Rabinovich, the glass windows donated by Boris Pechersky. The Thora ark is financed by Leonid Plitman. However, many donors are needed for final completion. There is the possibility to donate directly in Kaliningrad or via the association “Juden in Ostpreussen”, which has its seat in Berlin.